Since 1998, Allen Recruitment has always taken the security and protection of your data very seriously. We have only ever sourced data from reputable sources (Job Boards, CV Databases etc) where they have permission to share or forward your data to us. We have never shared details with clients without explicit permission to do so and only ever for a specific role. Please read this agreement carefully before accessing or using our services. By accessing or using our services, you agree to be bound by the terms and conditions below. We may modify this agreement at any time, and such modifications shall be effective immediately upon posting of the modified agreement. Please read it carefully and take the time to understand our policies and procedures relating to your personal data. If you do not accept that we process your data in the manner detailed in this Policy, please refrain from submitting any personal data to us. 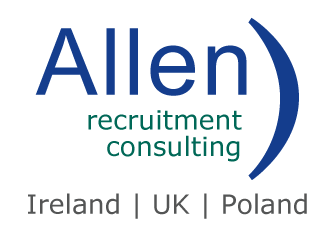 Allen Recruitment collects and uses your personal information to conduct our recruitment functions and services. Personal data will generally contain the information on your CV such as your name, contact details, skills, experience etc. To assess your suitability for vacancies by matching your skills and experience against roles we currently have with our clients. o We will ask if you are interested in hearing about this opportunity. o We will ask if we can keep in touch with you. o We will ask if we can keep your data on our database. o You will also have the option to request that we update, delete or provide a copy of this information to you. To put you forward for roles with our clients where you have given us permission to do so after we have discussed the role and your suitability with you. This consent will be recorded on our systems. o Your data will never be shared with a third party without your recorded agreement. o We will only ever look for consent on a role by role basis. o About specific job opportunities relevant to your skills and experience. o With industry leading career guidance and support content. In some instances where our clients use third parties to do reference checks, qualification checks, police checks, technical tests, psychometric tests etc. we may need to share your data with these third parties. In these instances, we will inform you that a third party is involved in the process and look for your consent to share your data with them. For people being employed by Allen Recruitment, additional personal information is required to facilitate employment, compliance and payment services, such as bank account details, national identification numbers and visa details. This data will only be held for as long as it is required to provide such employment services and will be deleted once the period we have to legally hold the data has lapsed. It is our responsibility to ensure that all Personal Data that you provide to us is maintained and updated accordingly. However, it is your responsibility to notify us of any changes to your Personal Data to guarantee your data is up to date. Where we currently hold personal information about you, you may at any time request that we update, delete or provide a copy of this information to you. We will happily provide you details of which Job Board or CV Database your data originally came from and the date on which Allen Recruitment got this data. Where you request your data to be updated, deleted or for us to provide you a copy of the data we will action this within one week from when the request is received. All requests should be emailed to privacy@allenrec.com. We will hold your data for no longer than we have a legitimate interest in doing so. Once a year we will delete any data that falls outside of the guidelines in this policy. The information that you have provided to us may be made available to personnel working in Allen Recruitment, our clients, and the third parties as set out above. The protection of your data has always been the utmost priority for us and as such we only use leading international software and service providers with the best in breed security solutions to store and manage your data. These companies have the latest technologies, processes and procedures to safeguard your data. We guarantee that your data is processed fairly and lawfully, and with due skill and care. We will also guarantee that the data you submit is solely used in accordance with the purpose as set out in this policy. However, no system is 100% secure but we take all reasonable precautions to ensure the privacy and integrity of your data is maintained. No transmission over the internet can be 100% secure. Allen Recruitment accepts no liability should this occur.